As many types of health concerns as there are, there are almost an equal number of treatment types, varying by location. Natural and holistic based forms of treatment are common, however, a scientific medical approach to healing and recovery is also widely endorsed by spas around the world. The interconnection between our physical health and our mental and emotional health can not be dismissed. The psychological benefits to experiencing treatments that sooth our souls through massage, meditation, stretching, exercise and cleansing of toxins in our body can be extraordinary. Taking time away from fast paced schedules, high pressure jobs and family life and other responsibilities that challenge our minds daily can have immeasurable positive effects. Particularly after dealing with major life events such as a relationship change, loss of someone close to us, relocating or diagnosis of a serious health condition - our minds may need time to quietly absorb the shock, and to begin the path towards healing. Whether we choose to experience a spa vacation alone, or to take along a companion, we will undoubtedly enjoy the time we spend at our destination. Free from the distractions that daily interrupt our lives, the environment of a spa vacation lends itself to relaxation and tranquility. Even if a few of our spa destination treatments incorporate some mild discomfort, knowing that they serve the purpose to invigorate, revitalize or restore damage, and improve our state of mind or body well being will help us keep focused on the positive. If unsure about whether the health benefits of a particular spa vacation resort are the right match for one’s specific wellness goals, the best thing to do would be to contact the location directly and speak to their professional staff. Research the feedback from others online as well to see if their reputation is consistently favorable. Taking time to visit a spa as a vacation may seem to some as an extravagance. 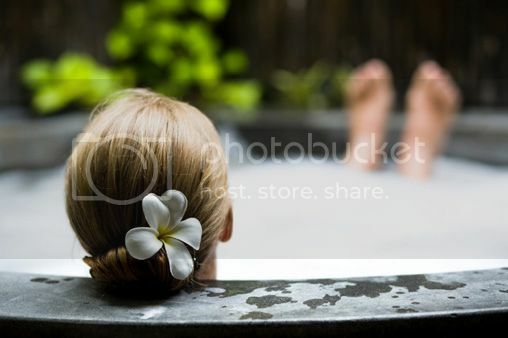 However, offsetting the cost of the spa vacation are often the decreased number of job absent days, medications required to treat certain conditions and the overall health benefits that improve mood, concentration and energy. A spa vacation can be the best way to approach the future, by taking care of our body and mind today! Spaseeker can help you find that perfect spa vacation. How? Simply use the useful spa search engine and input your criteria.